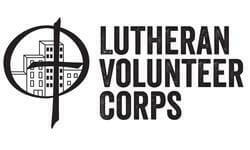 Lutheran Volunteer Corps is a faith-based, full-time service & leadership program operating in 8 cities across the U.S. Our mission: to unite people to work for peace with justice. We do this by placing 75 Volunteers in full-time positions at social justice organizations for a year. All our Volunteers live together in intentional community, practicing simple & sustainable living, while exploring spirituality. LVC offers all Volunteers housing, living stipend, health insurance & 2 weeks’ vacation. Communication and Development Associate positions work with local justice organizations to tell the story of their communities to their broader constituency - these positions include development, advocacy, education and outreach. LVC has communications and development associate positions at: Redeemer Center for Life (Mpls, MN), Immigrant Law Center of MN (Mpls, MN), Government Accountability Project (Washington, DC), Our Streets MPLS (Mpls, MN), Washington Interfaith Network (Washington, DC). Ministry of Caring (Wilmington, DE), Lutheran Family Services (Omaha, NE), Minneapolis Area Synod (Minneapolis, MN), Lutheran World Relief (Baltimore, MD), Chicago Jobs Council (Chicago, IL). All Volunteers are expected to get themselves to national orientation (currently held in Chicago). LVC then arranges and pays for transportation to your LVC city. Checked baggage limits apply and are communicated in beginning of the year information. All housing is furnished, so all our Volunteers need to bring with them are personal items and bedding for twin bed. Strong written and verbal communication skills; familiarity with marketing, social media, and website content management systems.